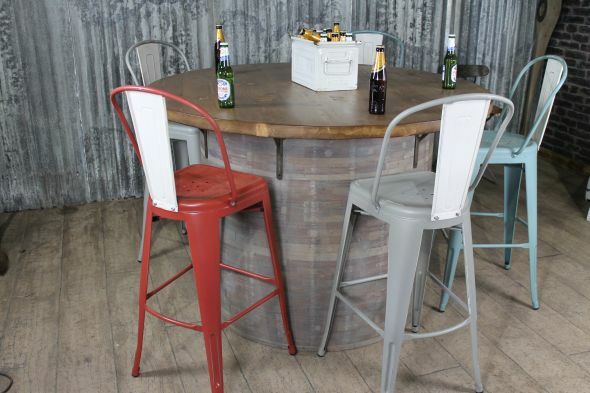 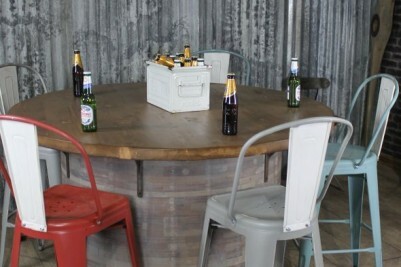 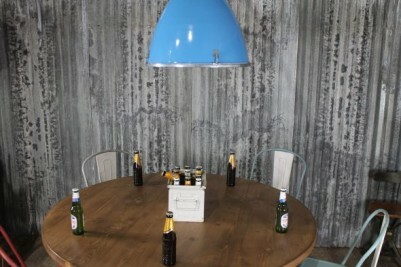 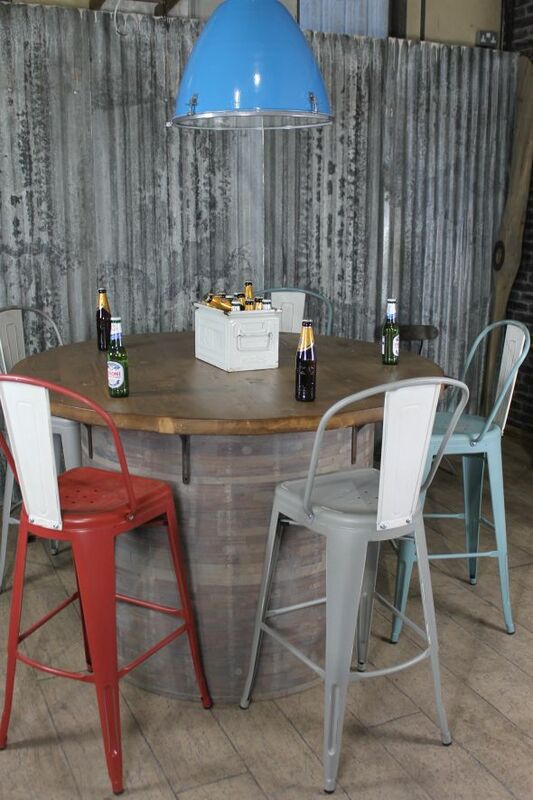 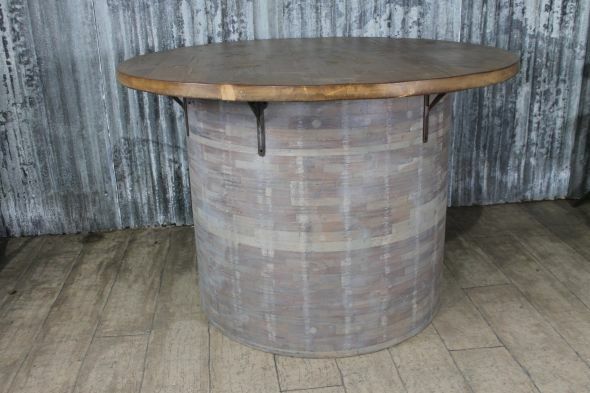 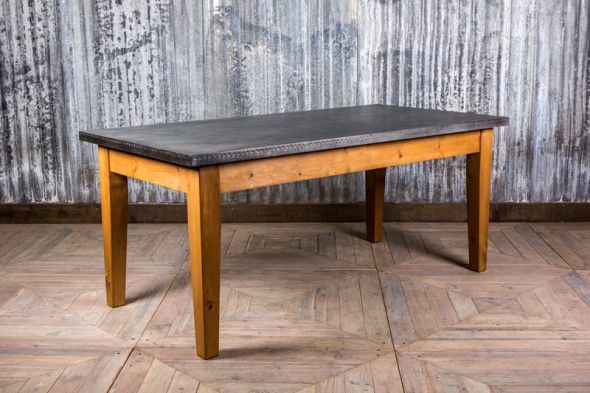 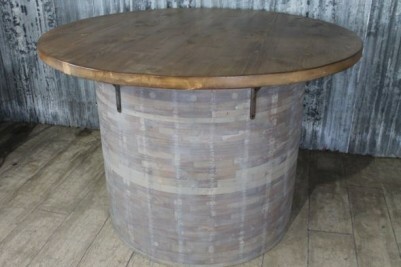 This large industrial barrel table is a great addition to our large range of vintage furniture. 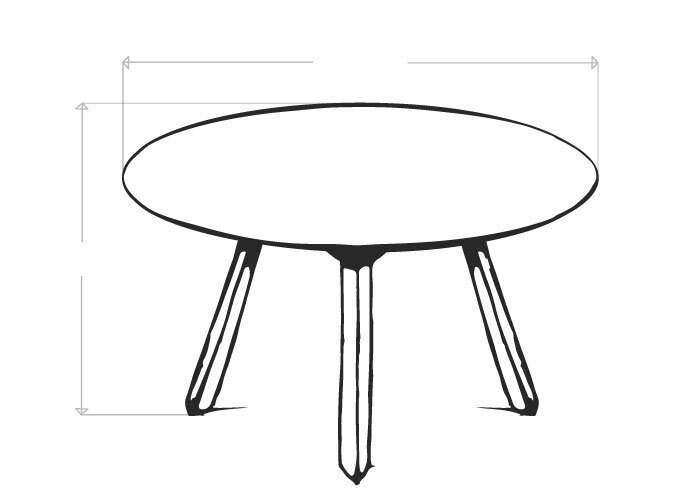 With its reclaimed pine top, the poseur table stands upon a circular base made from individual wooden blocks; the top is also detachable for ease of access. 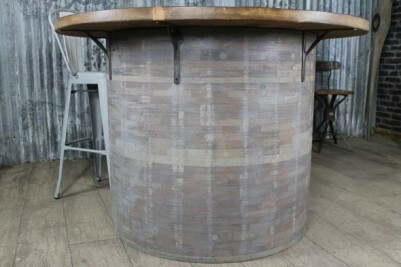 It is decorated with cast iron angle brackets, and is ideal for restaurants, bistros, etc. 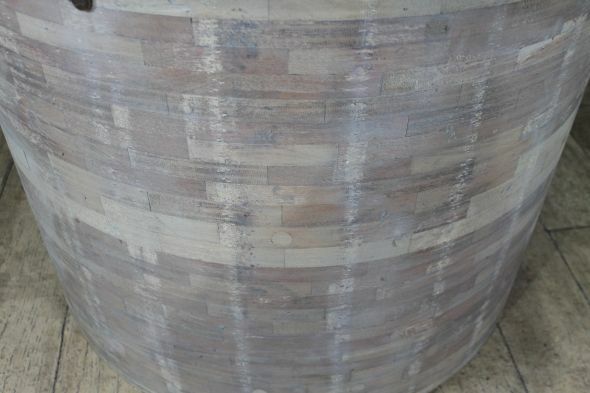 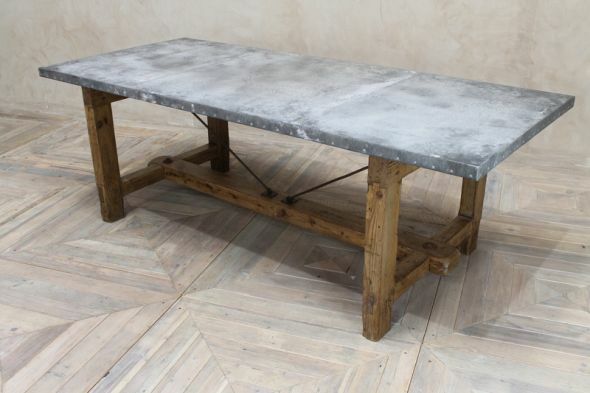 It would be an ideal focal point for any industrial interior, and is available with a natural timber base or with a grey oil finish. 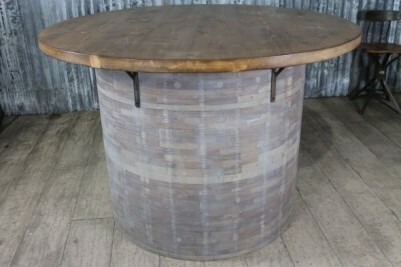 This listing is for one table only. 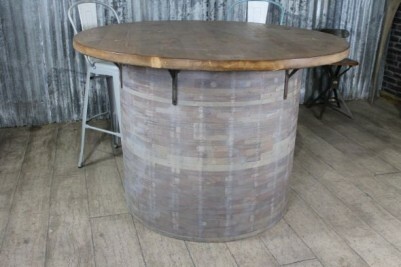 Please note, that the other items pictured with this table are not included in this listing.